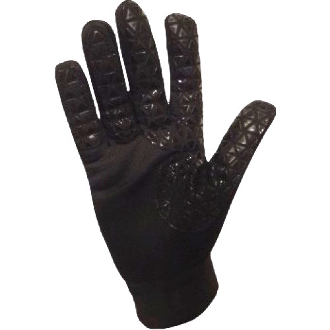 ES Performance Grippy-Pro Protective Figure Skating Gloves are specially designed skating gloves that are made to protect fingers and hands when catching or holding their blades to prevent cut hands. Specific areas of waterproof material provides grip to the blade or the boot for better hold. The padding protects hands during a fall. The high quality fabric has thermalactive function and is very durable. Perfect tool for every skater! Designed and tested by professional skaters! Available Black only in Child L - Adult Medium sizes.